At PatchWork Collective, we’re always looking for ways to add value for our members. That includes our partnership with Proximity. Here’s how to make the most of your Proximity Community Member Account at no extra cost to you. Coworking isn’t just about having a space to work. It’s about building a community with other professionals. The other members of your coworking facility can become referral partners, colleagues, and friends. But only if you know who you’re working next to. The Proximity system lets your show off your own business expertise and find out who else is in your coworking space. But it only works if you take the time to complete your Community Member Profile. It doesn’t take much to become a Community Member at PatchWork Collective — just a name and an email address. But if you want your Proximity Account to work for you, you’ll want to complete your profile. On the Community Member Portal page, click on your account picture in the upper right corner. Then select My Profile from the drop down menu. By completing your community member profile, you’ll show off your strengths and abilities to others using the space. You can add information, skills, and a picture to your profile. Select Edit Profile in the upper right corner. Add a bio that describes who you are and what you doSelect whether your profile is visible within the member directory or on the broader Proximity Wave boards. Add keywords that feature your skills and abilities — anything from woodworking to web development! Provide information about your current company and employment history. Once you have updated your Community Member profile, you’ll stand out in the PatchWork Collective Member Directory. This is where your fellow coworking members can go to find you and your business by name, company, or skill. Find a coworking member that does what you need. This is also a great space to visit if you are looking for a freelancer or referral partner for your next job. PatchWork Collective and the Metro Detroit Freelancers Network are always looking for ways to connect our members and grow their businesses. The Proximity Wave is just one more step in the process. Being part of the mobile workforce doesn’t just mean you can drive to the local coffee shop or coworking space for a meeting. Sometimes it means you’re packing a bag to head to a conference or client’s business. When work takes you away from your work home at the PatchWork Collective, the Proximity network has you covered. Anyone with a recurring membership at PatchWork Collective (with a rate of $99 or more per month) can access the Proximity Guest Pass. This feature allows you to visit participating Proximity coworking spaces across the country (as well as Canada and Australia) for free up to 3 times per month. Use them all at once or take your business on the road. 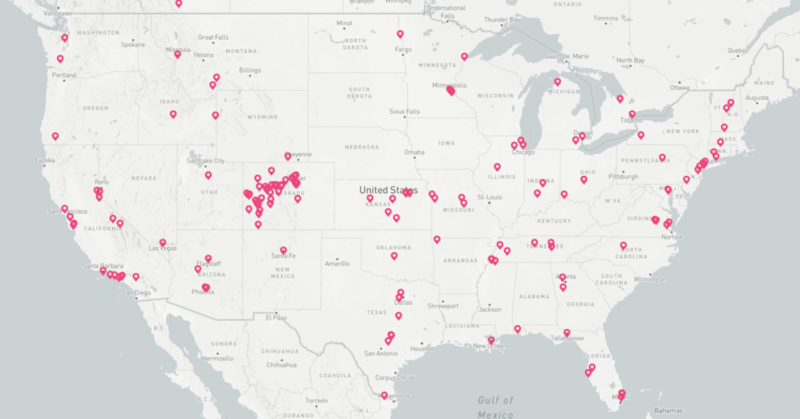 Check out the map of Proximity spaces when planning your next business trip. Proximity does ask that guests contact the space you are visiting in advance to let them know you are coming. You will have access during regular business hours unless you make special arrangements with the host coworking space. 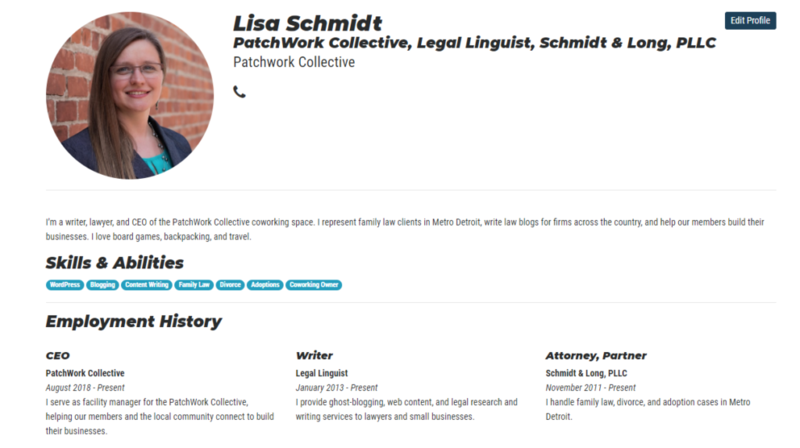 The PatchWork Collective Member Profile and Member Directory, together with the Proximity Network, gives our coworkers much more than a way to reserve space. 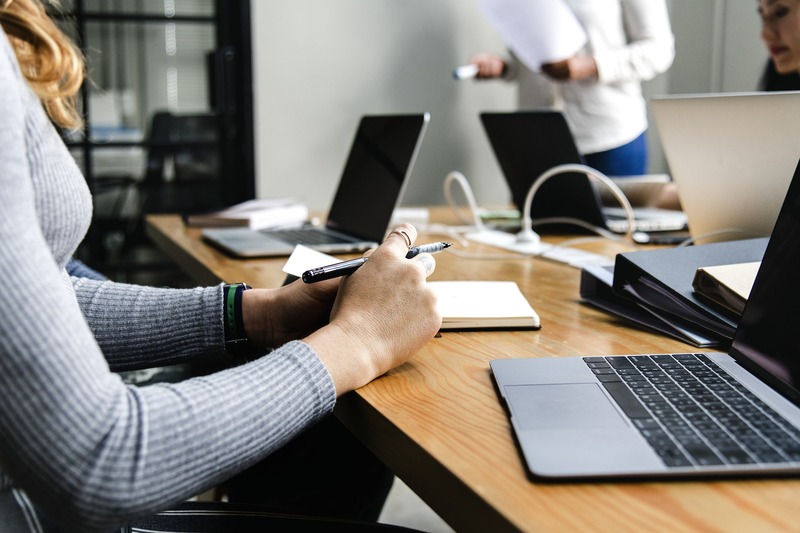 We put you in contact with the professionals you need to help you develop your business and build referral network, so you can get more work done. Not a member of the PatchWork Collective? Join now to get access to all this and more through our Community Member Portal.